The number of TV's boasting 4K display resolution has exploded, and for good reason. Who doesn't want a more detailed TV image? The 4K resolution standard is just one part of what is now referred to now as Ultra HD. In addition to increased resolution, an important factor that improves picture quality is proper brightness and exposure levels as a result of increased light output in conjunction with a video processing system referred to as HDR. During the mastering process for selected content destined for theatrical or home video presentation, the full brightness-and-contrast data captured during the filming process is encoded into the video signal. When the content renders into a stream, broadcast, or on a disc, that signal is sent to an HDR-enabled TV. The information is decoded, and the High Dynamic Range information is displayed, based on the brightness and contrast capability of the TV. If a TV is not HDR-enabled (referred to as a Standard Dynamic Range TV), it will simply display the images without the High Dynamic Range information. Added to 4K resolution and wide color gamut, an HDR-enabled TV, combined with properly encoded content, can display brightness and contrast levels close to you would see in the real world. This means bright whites without blooming or washout, and deep blacks without muddiness or crushing. For example, if you have a scene that has very bright elements and darker elements in the same frame, such as a sunset, you will see both the bright light of the Sun and the darker portions of the rest of the image with equal clarity, along with all the brightness levels in between. Since there is a wide range from white to black, details not normally visible in both the bright and dark areas of a standard TV image are more easily seen on HDR-enabled TVs, which provides a more satisfying viewing experience. Each format has its own special attributes. HDR10 is an open royalty-free standard incorporated into all HDR-compatible TVs, home theater receivers, Ultra HD Blu-ray players, and select media streamers. HDR10 is considered more generic as its parameters are applied equally throughout a specific piece of content. For example, an average brightness range is determined across an entire film. During the mastering process the brightest point and darkest point in a movie are marked, so when the HDR content is played back all the other brightness levels are indexed to those points. However, in 2017, Samsung demonstrated a scene-by-scene approach to HDR that it calls HDR10+ (not to be confused with HDR+, which will be discussed below). Just as with HDR10, HDR10+ is royalty-free, but there are some initial adoption costs. Although all HDR-enabled devices use HDR10, TVs and content from Samsung, Panasonic, and 20th Century Fox use HDR10 and HDR10+ exclusively. Dolby Vision is the HDR format developed and marketed by Dolby Labs, which combines both hardware and metadata in its implementation. The added requirement is that content creators, providers, and device makers need to pay Dolby a license fee for its use. Dolby Vision is considered more precise than HDR10 in that its HDR parameters can be encoded scene-by-scene or frame-by-frame and it can be played back based on the capabilities of the TV. In other words, playback is based on the brightness levels present at a given reference point, such as a frame or scene, rather than limited to the maximum brightness level for the entire film. On the other hand, the way Dolby has structured Dolby Vision, all licensed-and-equipped TVs supporting that format can also decode HDR10 signals if this capability is “turned on” by the TV manufacturer, but a TV that is only compliant with HDR10 is not capable of decoding Dolby Vision signals. In other words, a Dolby Vision TV also has the ability to decode HDR10, but an HDR10-only TV cannot decode Dolby Vision. However, many content providers that incorporate Dolby Vision encoding in their content also often include HDR10 encoding as well, specifically to accommodate HDR-enabled TVs that may not be compatible with Dolby Vision. If the content source includes only Dolby Vision and the TV is HDR10 compatible only, the TV will just ignore the Dolby Vision encoding and display the image as a Standard Dynamic Range image. In other words, in that case, the viewer will not get the benefit of HDR. 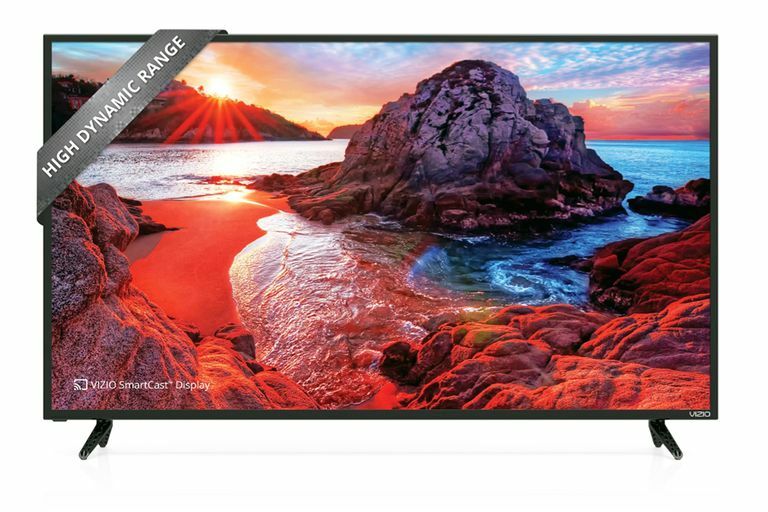 TV brands that support Dolby Vision include select models from LG, Philips, Sony, TCL, and Vizio. Ultra HD Blu-ray players that support Dolby Vision include select models from OPPO Digital, LG, Philips, Sony, Panasonic, and Cambridge Audio. However, depending on the device's manufacturing date, Dolby Vision compatibility may only activate after a firmware update. On the content side, Dolby Vision is supported through streaming on select content offered on Netflix, Amazon, and Vudu, as well as a limited number of movies on Ultra HD Blu-ray disc. Samsung is only major TV brand marketed in the U.S. that does not support Dolby Vision. Samsung TVs and Ultra HD Blu-ray disc players only support HDR10. Hybrid Log Gamma is an HDR format that is designed for cable, satellite and over-the-air TV broadcasts. It was developed by Japan's NHK and the BBC Broadcasting Systems but is license free. The main benefit of HLG for TV broadcasters and owners is that it is backward compatible. In other words, since bandwidth space is at a premium for TV broadcasters, using an HDR format such as HDR10 or Dolby Vision would not allow owners of non-HDR TVs (including non-HD TVs) to view the HDR-encoded content. However, HLG encoding is just another broadcast signal layer containing added brightness information without the need for specific metadata, that can be placed on top of the current TV signal. As a result, the images can be viewed on any TV. If you don't have an HLG-enabled HDR TV, it will just not recognize the added HDR layer, so you won't get the benefits of the added processing, but you will a standard SDR image. However, the limitation of this HDR method is that although it provides a way for both SDR and HDR TVs to be compatible with the same broadcast signals, it does not provide as accurate an HDR result if viewing the same content with HDR10 or Dolby Vision encoding. HLG compatibility is included on most 4K Ultra HD HDR-enabled TVs (except Samsung models) and home theater receivers beginning with the 2017 model year. So far, the BBC and DirecTV have been providing some programming using HLG. Of the four major HDR formats, Technicolor HDR is the least known and is only seeing minor use in Europe. Without getting bogged down in the technical details, Technicolor HDR is probably the most flexible solution, as it can be used in both recorded (streaming and disc) and broadcast TV applications. It can also be encoded using frame-by-frame reference points. In addition, in a similar fashion as HLG, Technicolor HDR is backward compatible with both HDR and SDR-enabled TVs. Of course, you will get the best viewing result on an HDR TV, but even SDR TVs can benefit from increased quality, based on their color, contrast, and brightness capabilities. The fact that Technicolor HDR signals can be viewed in SDR makes it convenient for content creators, content providers, and TV viewers. Technicolor HDR is an open standard that is royalty free for content providers and TV makers to implement. One of the problems in implementing the various HDR formats on TVs is the fact that not all TVs have the same light-output characteristics. For example, a high-end HDR-enabled TV might the ability to output as much as 1,000 nits of light (such as some high-end LED/LCD TVs), while others may have a maximum of 600 or 700 nits light output (OLED and mid-range LED/LCD TVs), while some lower-priced HDR-enabled LED/LCD TVs may only output about 500 nits. As a result, a technique known as Tone Mapping is used to address this variance. What happens is that the metadata placed in a specific movie or program is remapped to the TVs capabilities. This means that the brightness range of the TV is taken into consideration and adjustments are made to peak brightness and all of the intermediate brightness information, in conjunction with the detail and color present in the original metadata in relation to the range of the TV. As a result, the peak brightness encoded in the metadata is not washed out when shown on TV with less light-output capability. Since the availability of HDR-encoded content is not plentiful yet, several TV manufacturers are making sure that the extra money consumers spend on an HDR-enabled TV does not go waste by including SDR-to-HDR conversion. Samsung labels their system as HDR+ (not to be confused with HDR10+ discussed earlier), and Technicolor labels their system as Intelligent Tone Management. However, just as with resolution upscaling and 2D-to-3D conversion, HDR+ and SD-to-HDR conversion do not provide as accurate a result as native HDR content. In fact, some content may look too washed out or uneven from scene to scene, but it does provide another way to take advantage of an HDR-enabled TVs' brightness capabilities. HDR+ and SDR-to-HDR conversion can be turned on or off as desired. SDR-to-HDR upscaling is also referred to as Inverse Tone Mapping. In addition to SD-to-HDR upscaling, LG incorporates a system it refers to as Active HDR processing into a select number of its HDR-enabled TVs, which adds onboard scene-by-scene brightness analysis to both HDR10 and HLG content, thereby improving the accuracy of those two formats. The addition of HDR elevates the TV viewing experience and as format differences are resolved and content becomes widely available across the disc, streaming, and broadcast sources, consumers will likely accept it just as they have previous advances. Although HDR is being applied only in combination with 4K Ultra HD content, the technology is actually independent of resolution. This means that, technically, it can be applied to other resolution video signals, whether it be 480p, 720p, 1080i, or 1080p. This also means that owning a 4K Ultra HD TV doesn't automatically mean that it is HDR-compatible — a TV maker has to make an assertive decision to include it. However, the emphasis by content creators and providers has been to apply HDR capability within the 4K Ultra HD platform. With the availability of non-4K ultra HD TVs, DVD, and standard Blu-ray disc players diminishing, and with the abundance of 4K Ultra HD TVs as well as increased number of Ultra HD Blu-ray Players available, along with the forthcoming implementation of ATSC 3.0 TV broadcasting, the time and financial investment of HDR technology is best suited for maximizing the value of 4K Ultra HD content, source devices, and TVs. Although in its current implementation stage there seems to be a lot of confusion, it'll all sort out eventually. Even though there are subtle quality differences between each format (Dolby Vision is considered to have a slight edge so far), all the HDR formats provide a significant improvement in the TV viewing experience.